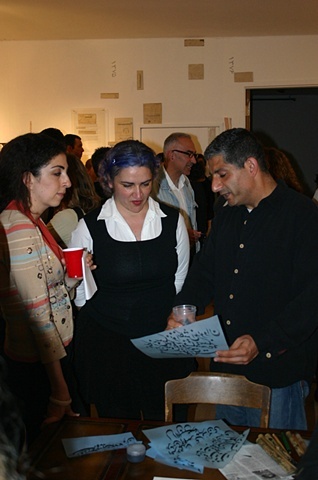 In this performance, the Anonymous Persian, phonetically copies various news articles about Iran from American newspapers, in Farsi. 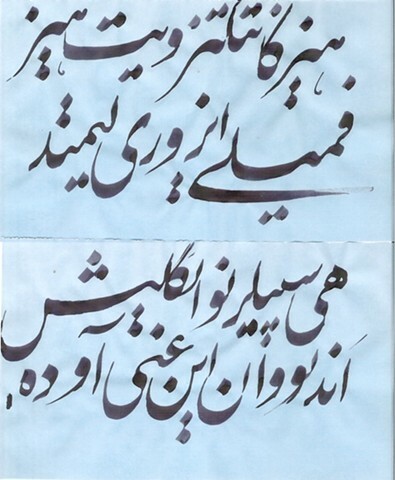 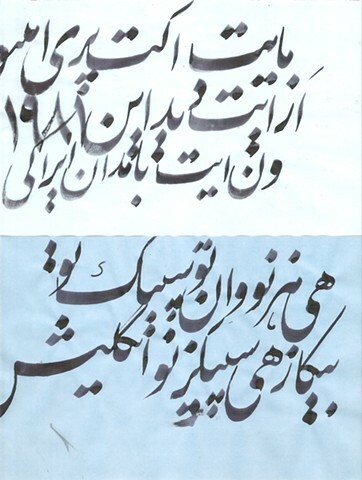 Untranslated english written phonetically, became incomprehensible to both Farsi and English speaking audiences who appreciated the aesthetic beauty of the calligraphy regardless of the content. 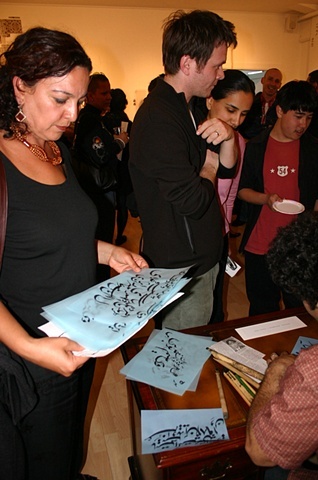 By detaching the news from its original context, this work shifts the focus to the persisting fascination with the orient as enigmatic and exotic, and interrogates the entertainment value of reportage and the voyeuristic role of the spectator as a consumer of mass media spectacle. 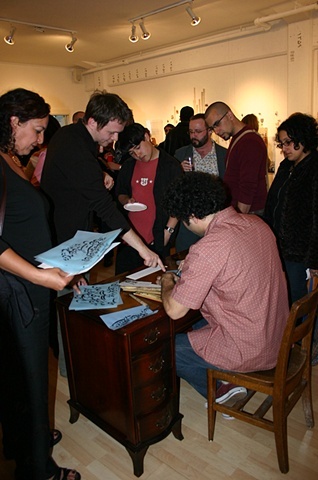 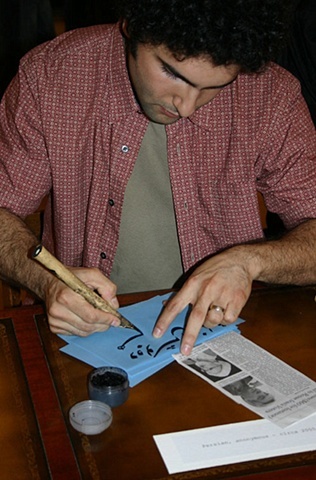 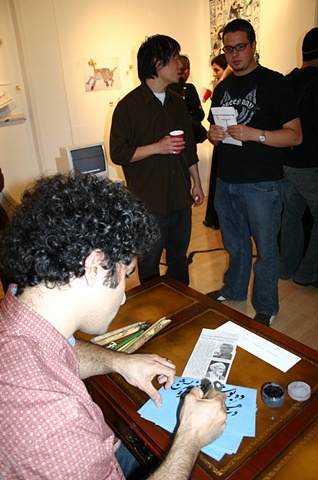 Performance/calligraphy performed by Ardalan Payvar. 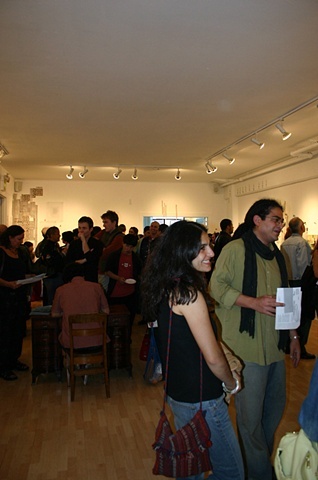 Part of a collaborative project titled "CrossConnections" - curated by Taraneh Hemami at Intersection for the Arts, San Francisco.